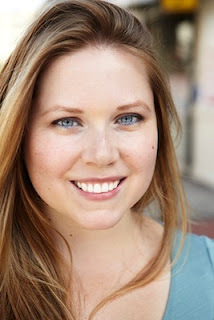 Welcome to Lovey Dovey Books, Rachel! Can you tell us five fun facts about yourself? - I grew up in a log cabin in rural Vermont. My graduating class only had 40 kids in it! - My favorite food is sunflower seeds with the shells on them. - If I ever met Joss Whedon, I would propose. That’s how obsessed I am. - I love wearing vintage clothing, a trait I also gave to Lydia in the book. - When I was little I wanted to be a synchronized swimmer. How would you describe your writing in three words? I feel like this question has a lot of possibility for embarrassment, so here are three words I strive for! So Close to You sounds like an exciting and fast-paced read. What do you wish for your readers to experience during the novel? I want people to care about all the characters and their futures. As I was writing, it was important for me to make the story as realistic as possible, even with the sci-fi elements! I hope that comes across and that readers feel like they can connect to Lydia’s story. What does your main character, Lydia Bentley, of So Close to You say about sharing her story with the world? She would definitely approve of sharing it. She wants to be a journalist, and she believes – at least in the beginning! – that knowing and sharing the truth about something is extremely important. Can you tell us about the inspiration behind Lydia’s story? I was inspired by a lot of things! But my main inspirations were probably talking with my grandmother about her life during World War II, learning about the real-life conspiracy of the Montauk Project, and a longstanding love of time travel stories. So Close to You is only the first in a three book series. What can you tell us about the following books? I don’t want to give anything away! Let’s just say that Lydia and Wes have a long journey to go through in the next two books as they try to figure out the line between fate and free will. Thank you for stopping by Rachel! Any parting words for readers who will pick up a copy of So Close to You on its release July 10th? I sincerely hope everyone likes it. And if you do, or even if you don’t, please come tell me about it on Twitter or Facebook. I love, love, love to hear from readers! 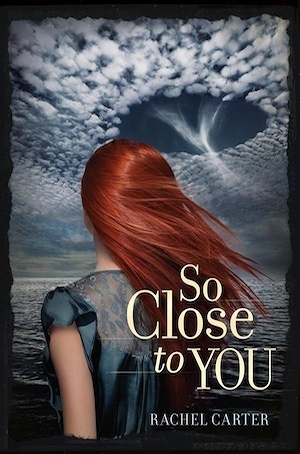 Add SO CLOSE TO YOU on Goodreads.